Posted on July 28, 2018 by admin wrote in Job. Most people know by now that social media can be a powerful tool in the search for a job. 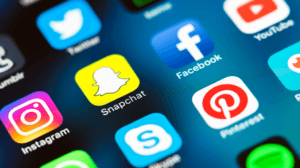 Unfortunately, some people are learning that the opposite can also be true – the wrong social media postings can adversely affect your search for a job or even cost you a job that you already have. Protect and/or advance your career by avoiding these 5 social media mistakes. Don’t share your latest job offer: Some companies – for a variety of reasons – would prefer that their job offers be kept confidential. Breaking a company’s confidentially could send the signal to a prospective employer that you are not trustworthy and that you may divulge other company secrets. Play it low key and don’t post your new job offer to social media. Don’t mock customers/clients: If you have already secured a position within a company, avoid unloading on social media. If you’ve had a bad day with customers/clients, squeeze a stress ball, talk to your family members but do not post your experience on social media. Complaining about customers reflects poorly on businesses and can lead to your dismissal. Don’t post pictures with alcohol: Even if you are of legal age, stay away from posting photos of yourself using alcohol. This may sound arbitrary but even if the pictures do not show that you are inebriated, some companies are relatively conservative. They may take offense at these kinds of pictures. Don’t post tasteless comments: Comments that are meant to offend a group of persons could easily cost you your job. There are plenty of examples of people who posted sexist or racist comments and were dismissed afterwards. Even if the comments are directed towards an individual they could still hurt you. In short, simply avoid posting all such comments. Avoid plagiarism: Plagiarism is unacceptable and illegal. If you are posting a photo then make sure that you mention the photographer. If you are posting an article verbatim, cite the author. In short, always think carefully before posting to social media. Simply because we are communicating with our friends we can sometimes get the mistaken idea that our posts can never been seen by others. Many horror stories in the media prove otherwise. As the top staffing firm in New York, we can tell you that many companies do check social media posts and all other sources that can give them insight on prospective employees. Our executive assistant staffing company in NYC wants to ensure that you put your best foot forward when applying for a job and you can do so by parsing your social media posts.